Finding inspiration for your next business idea can be tough. But it doesn’t have to be. Over the years of developing and validating business ideas, I’ve gathered a list of the top places around the internet to find new business idea trends that will inspire your creativity and critical thinking for better ideas. Trend Hunter is a great website if you have curiosities about a wide array of topics, because they cover everything! From fashion to business to environment, they claim to have one of the largest databases for trends while utilizing big data to help. Personally, this is one of my favourite sites to go for inspiration since it has such a wide variety of topics. The vast array allows you to have creative thoughts that you would not have otherwise. Trend Hunter also covers stories around the globe, so no need to worry about this not being relevant to your area. This business idea trends site is really unique. It is hard to put it into a category, but they cover a wide variety of different industry trends. Their main topics include style, design, food, culture, and travel. Cool Huntings also covers stories around the globe, and is a great source of inspiration. Spring Wise is a great website if you want to read about the most innovative startups around the world. They have a daily newsletter that I recommend subscribing to for inspiration, as they showcase new ideas launching around the world. The one downside to this website is that they make you pay if you want to see all of the startups they talk about. The price is also very high, so that is also discouraging. Otherwise, the free content is good and can give you a great perspective on other entrepreneurs mindsets, as they execute the idea. This trend website takes a unique stance and features business idea trends that are submitted from around the world. Some look like home-made innovations and some are already commercial applications. Either way, it is a great place to find new business ideas that you could launch in your area if that hasn’t been made where you live. Cool Business Ideas is a similar site to Springwise and More Inspiration in that it features innovations and new companies. However, unlike SpringWise, this website is all free. The great thing is, they publish a new company every day so it is always up to date. PSFK is a more professional website compared to some of the other trends websites reviewed here. They put together research papers, interviews, and debriefs that are all very high quality. For example, reports cover topics like the future of retail, and the home entertainment experience. PSFK also has a paid content area and conference. However, there reports on the different industry coverages are far the best I have seen across all the trend sites. If you are looking for reputable data, head here. Home design, fashion, and crafts are some of the topics you’ll find on The Coolist related to business idea trends. Although it is not completely business oriented like many of the other websites, this is a great site for general inspiration. Sometimes the greatest ideas you have will come from inspiration that is not related to the business at all. Even business models are featured here. Trend Watchers is a great website if you are looking to find high-level trends around the world. They have an extensive report that they release every year, and it contains a lot of useful information that is not usually found elsewhere, unless you pay. 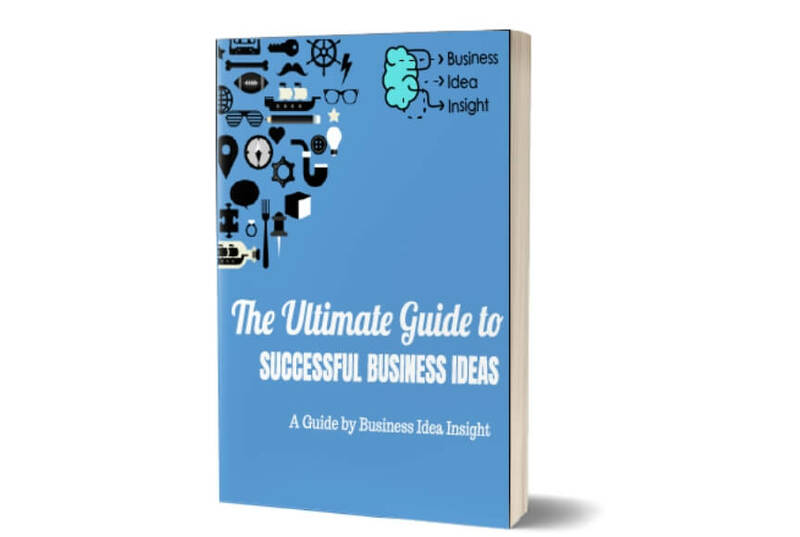 The one downside to this business idea trends resource is that they do not publish a lot of new content, so it is not a resource you can actively use. If you want to become a trend finder, they offer paid programs and services to help you do that. This trend website is unique as they cover the intersection of design, culture, and commercial life. They also offer topics on architecture, art, fashion, music, and travel. My favourite thing about David Report is that they produce a bunch of high-quality reports, year round. If you are wondering about design in the future, luxury in the future, or sustainability trends, they cover it! JWT Intelligence is a global research, insight, and innovation firm. They offer a great suite of products if you need reliable trend forecasting and data analytics, but for a price. However, their free reports and research is among the top with David Report and PSFK, and Trend Watching. JWT also offers a lot of different analysis by taking an intersectional approach and examining the innovations across various industries to present really unique and inspiring research on new trends. This business idea trends site relies heavily on academic research with practical business sense, and a scientific methodology to present trends. To access a lot of this site’s content, you need to become a client and subscribe to their services, which is the one downside to this trend site. My favourite feature is the “Mega Trends” they write about. From there, you can drill down to each piece that makes up the megatrend. This is really useful for getting an overhead view of something, and zooming in to see how you can get micro and use the business trend at hand. Last but not least is Wiki Trends. This website is another trend watching website that hosts a lot of free content. The great thing about this site is that they update with new trends every second day, so there is always new inspirations for you to read and watch. I like Wiki trends because they are backed by a consulting firm in New York, so the data they present has some credibility behind it. Lastly, they have a proprietary team of trend spotters, making it a lot more reliable than searching forums yourself. There you have it, 12 websites that will help you find new innovations, startups, and inspiration for your business idea creation and development. I recommend you bookmark a few of your favourites from this list, and check those sites regularly. You never know when you will see an innovation that could be incorporated into your original idea to make it better. Let me know in the comments what your favourite trend discover website, and why? Hello there! I love the articles and business ideas you are producing. It helps. Anyhow, I’m definitely pleased I found it and I’ll be bookmarking it and checking back regularly!